Clusters of galaxies are the largest and most massive collapsed systems in the Universe, and as such they are valuable probes of cosmological structure and galaxy evolution. The advent of extensive galaxy surveys, large ground-based facilities, space-based missions such as HST, Chandra and XMM-Newton and detailed numerical simulations makes a particularly exciting time to be involved in this field. The review papers in this volume span a comprehensive range of research in this area, including theoretical expectations for the growth of structure, survey techniques to identify clusters, metal production and the intracluster medium, galaxy evolution in the cluster environment and group-cluster connections. With contributions from leading authorities in the field, this volume is appropriate both as an introduction to this topic for physics and astronomy graduate students, and as a reference source for professional research astronomers. 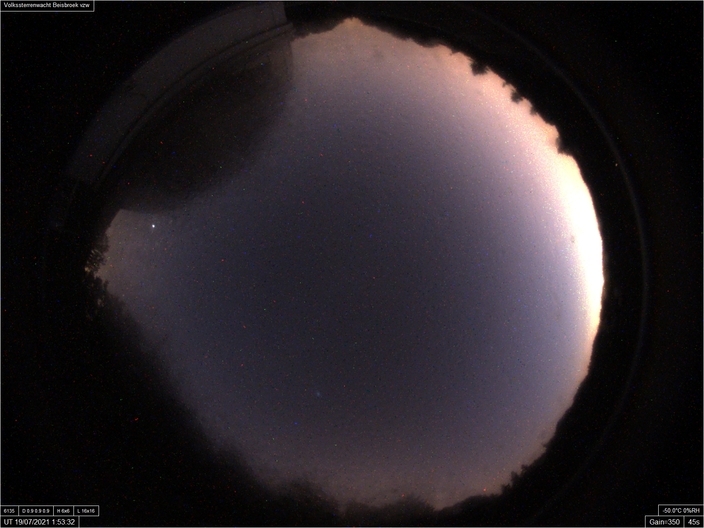 Met een allsky-camera (voorzien van een fish-eye lens) wordt de volledige hemel boven de sterrenwacht voortdurend in de gaten gehouden. Dit levert vaak mooie en spectaculaire beelden.